Mississauga painters and carpenters, drywall repair, kitchen cabinet painting, stucco ceiling removal. Mississauga residents, here’s some good news for you! 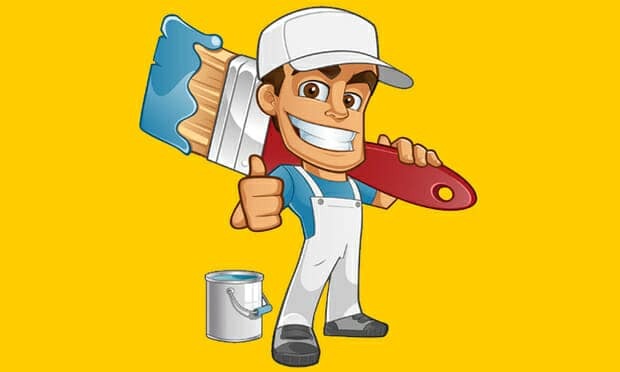 Now that you have come to us, all your Mississauga painters and restoration issues have come to an end. We, at Mississauga Handyman, will leave no stone unturned in fulfilling your wishes and keeping in mind your specific requirements, while doing so. Like many other satisfied clients, you too can place your trust in our company to get your home sweet home painted in a unique manner. Rest assured, we will strive to offer our best and deliver superior results that will take you by surprise. Backed by years of experience and expertise in providing excellent paintings services in Mississauga, we put in our best to satisfy our homeowner clients and earn their loyalty for years to come. If your ultimate wish to transform your humble abode is yet to be fulfilled, Mississauga Painters and Handyman will ensure that your house looks the best in the entire block. All your neighbor and friends would love the new look of your dwelling and ask you for advice. If availing superior services of painting and restoration in Mississauga has been in your mind for the past couple of months, depending on us for an affordable and exceptional deal would be the safest thing to do. It is the rich experience and massive knowledge of painting techniques that helps painters at Mississauga painters and Handyman offer their best. When it comes to house painting or kitchen cupboard painting, our staff handles all, and that too with utmost finesse. The preferred choice for every homeowner, we are the best name to go with and achieve dream-like makeover of your personal space. We will do our best in meeting your exact expectations and offer extraordinary painting & restoration services that you won’t be able to forget. That said, get in touch with us forthwith! Rest assured, you are making the right decision. ,###For more information, contact them at 416-568-3547. Or send them a message at expertpainter@gmail.com for further details. Be a part of their growing list of happy clients today! A huge difference is what to expect along the way.